Our Lockout/Tagout specialists can help customers write or edit Lockout/Tagout procedures to match worldwide best practices. Taking into account every machine's energy control points and combining this knowledge with best-in-class Lockout/Tagout/Tryout steps to isolate machinery, results in quality Lockout/Tagout procedures to maximise safety during interventions. Lockout/Tagout procedures are uploaded in the LINK360 software for approval by customer stakeholders, for easy roll-out across multiple sites, and for easy editing in the future. Pictures of machinery and energy control points can be uploaded to maximise recognition and compliance in the workplace. Procedures can be printed or sent to maintenance professionals' smartphones via the step-by-step Smart LoTo App. 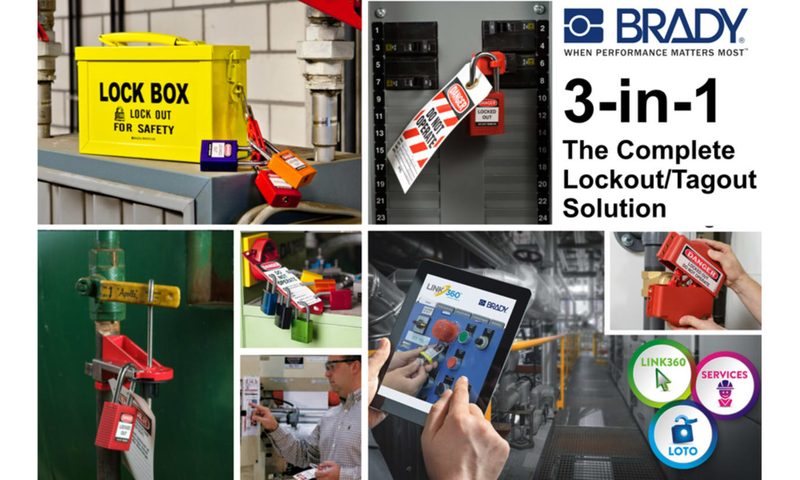 A selection can be made from Brady's wide range of padlocks and Lockout/Tagout devices so customers get exactly what they need to isolate their machinery on their sites. lockout/tagout workfloor distribution centres and custom shadowboards are also available from Brady! Download the free Lockout/Tagout guide book ‘Safer machine interventions’!